I am a mum who blogs and writes about things in my life, places of interests and does product reviews. I dare say that the contents in my posts are good, descriptive with enough information that keep all of you interested and to continue to support this blog till this day. However, I struggled with English during my school days, unbelievable right? Sure I read loads thus leading to a strong grammar & vocabulary but I have difficulties identifying Grammar. I mean I know my English words but if you asked me to give example for present participles, present perfect tense, adjective etc and I am lost. I only know past and present tense... no joke. During my school days I have this thick English Grammar book and I remembered hugging this book tightly especially during exams, memorizing the examples of those individual grammar topics coz we were tested on that. 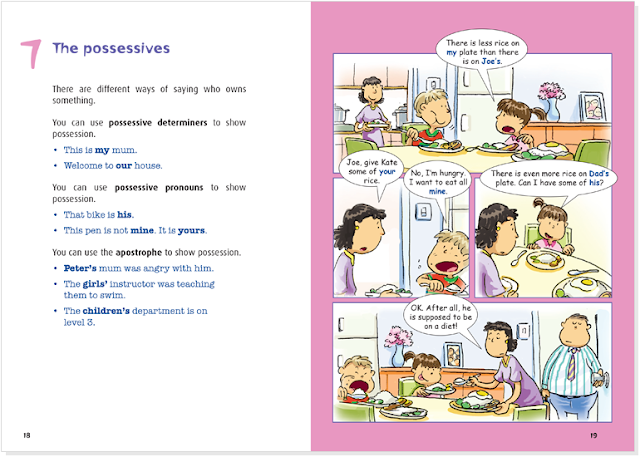 And then there are the Comparative and Superlative adverbs... can you picture a younger me pulling out my hairs??? It does not help when the book is full of words with minimal black and white illustrations - B.O.R.I.N.G. 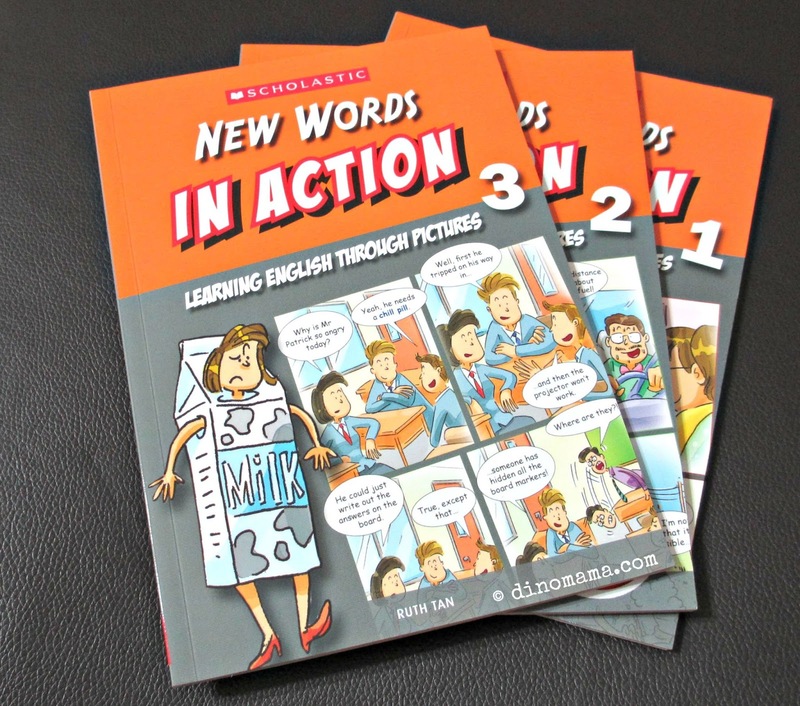 Fast forward to current year, there still such books to help kids learn English language in an easier way and one that stands out is Scholastic with their In Action series. There are 16 mini series that ranges from more academic focused to more fun learning topics. 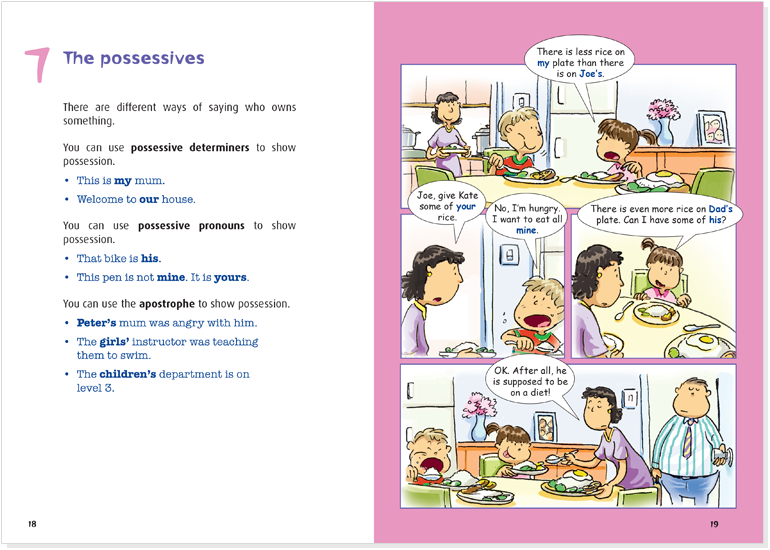 These topics are clearly explained in simple English with examples and a fun colorful comic strip to further illustrate the use of each language use item. The series of books sure makes learning fun, interesting and effective! Today I'll be reviewing 3 mini series which I think are suitable for primary school kids. They not only will aid in their grasp of understanding English language better, the 4 panels comic strip illustrations with words shows a flow of event which will give the kids an idea how they should write their composition. 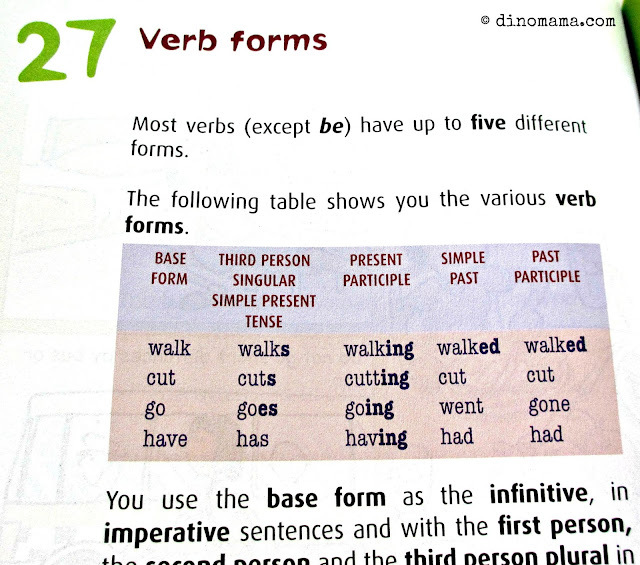 There are 3 mini series to Grammar In Actions that covers nouns, phrase, clause, connectors, active & passive voice, punctuation, usage of "a", "an", "do", "does", "should/shall/ought to", verb agreement, synonyms & antonyms etc. There are a few "Grammar rules" too, I didn't even know there is such thing as Order of Adjectives! Now, if I have THIS during my days, my life will be so much better. Couple of weeks ago I shared this youtube vidoe of Lenka's Everything At Once where she uses Simile as lyrics in her song. It's very creative and nicely arranged, I like the catchy tune very much. 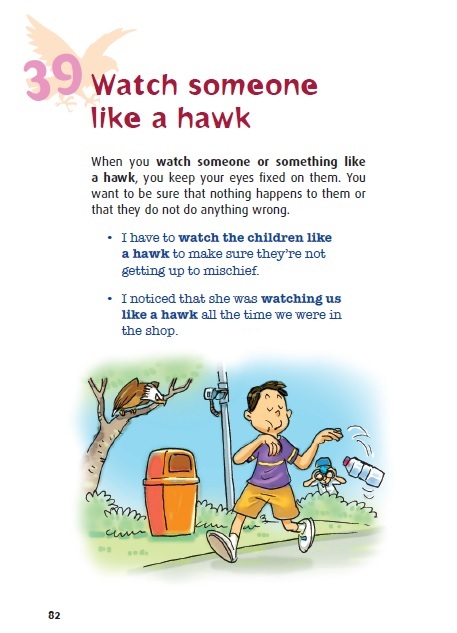 What I am trying to say, English can be more expressive when used together with figurative language such as Simile, Idioms, Metaphors and Personification. These are what makes a story beautiful, interesting, full of emotions and feelings, that leads to the next series that I will be talking about. The next series have fun topics that both kids and adults will enjoy. In this new era there are new technologies and things kept changing almost everyday, English language are evolving too in its form, meaning, and behaviour of words. 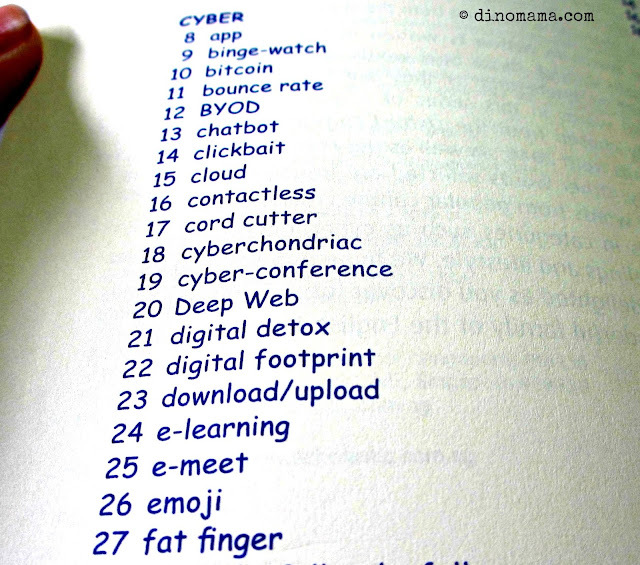 There are abbreviations such as ICYMI, TTLY, (my favourite is TTFN), and there are cyber, fashion, environment jargon too! New Words In Action are written to help us navigate through these new words and phrases that are just as interesting as they are useful to know. This is me when I' m replying message on my handphone. 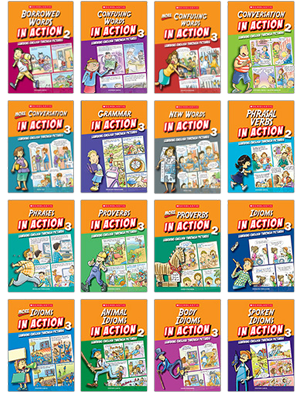 Here is the full list of the 16 In Actions mini series, you can also see them over here, they are available at all POPULAR bookstores and selected TIMES bookstores. 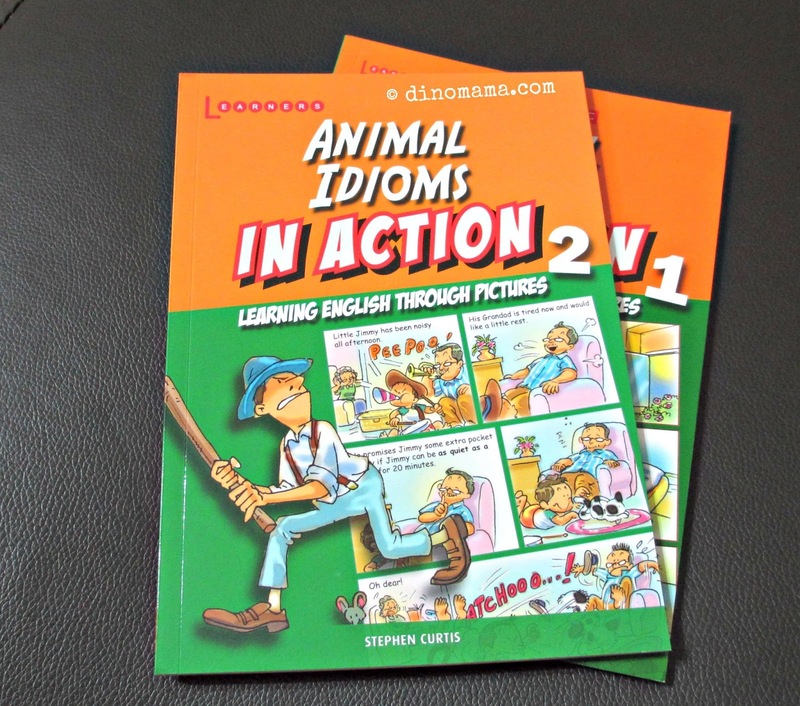 Scholastic has kindly sponsor 1 set each of Grammar In Actions and Animal Idioms In Action for our SG50 August Giveaway, for more details simply read on. Disclaimer : We received a set each of Grammar In Actions, Animal Idioms In Action and New Words In Action from Scholastic for the purpose of this post & giveaway, no other forms of compensation were received. All opinions are 100% ours and all photos in this post unless otherwise credited, are copyrighted and belongs to the DinoFamily, you may not use any of the photos for any purposes without seeking our approval. I like 'Make hay while the sun shines'; it is something I embrace in practice. Carpe diem! Hope to win the Grammar in Action set. I would like Grammar in Action! Thank you! Birds of the Feather flock together! My favorite idioms is Cross that bridge when you come to it as I don't like to worry unnecessarily. I love food so my favourite idom is to eat like a horse. I'd love to win Animal Idoms in Action. Tickle my funny bones as that is the first idiom that I taught my boy. I will like to win Grammar in Action. 1. My favorite idioms is burn midnight oil. As I usually work late into the night to get my things done! I would like to win "Animal Idioms In Action" for my 9 years old girl. 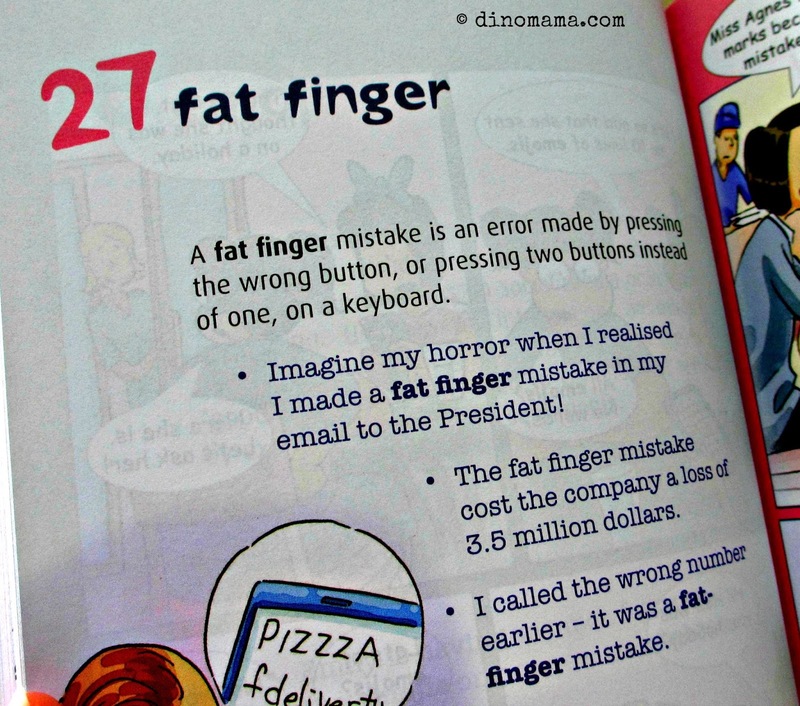 "kill two birds with one stone" because it's the first idiom that I taught my children. I like 'Don't count your chickens before they hatch'. 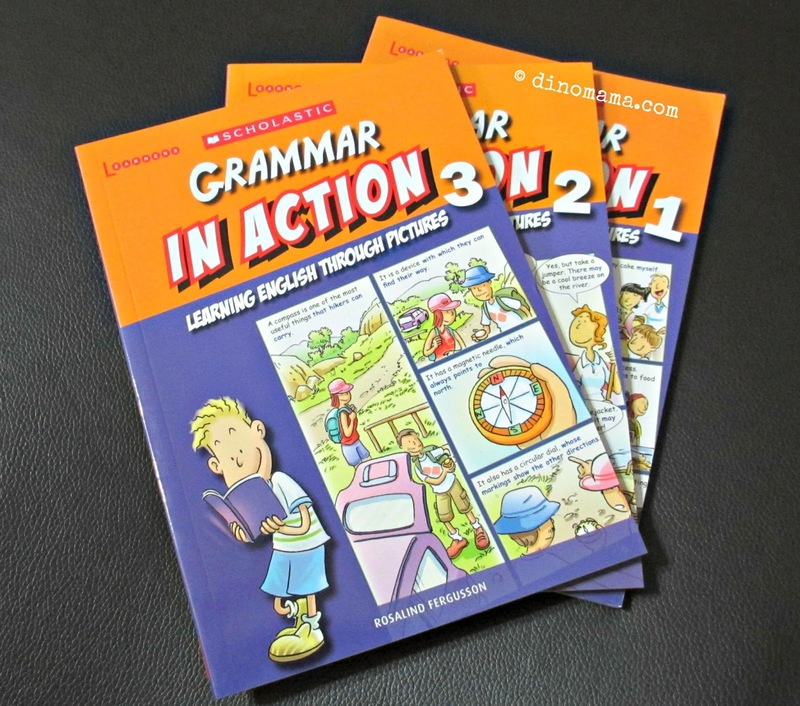 Hope to win Grammar in Action series. Favourite Idom: Raining cats and dogs. My kids will ask me where are the cats and dogs and this will set me laughing away. 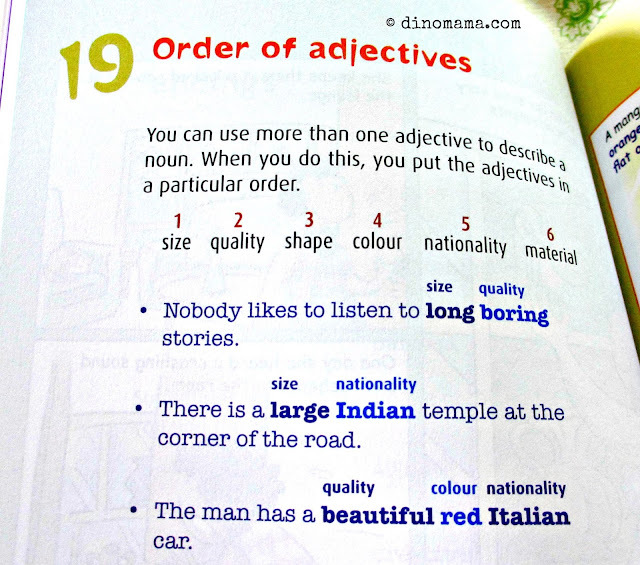 I would like to win "Grammar in Action"
Just introduced few idioms in a short note recently to my child... "as red as a lobster"
hope to win the set. thanks. Hope to win 1 set of grammar in action.